Do you ever start to leave your house and see your dogs looking at you, and you look at them and you think, “What if something happens to me?” You turn back to them and hug them and tell them how much you love them. You walk out the door and their is an invisible heart string that connects to their heart and follows you everywhere you go. It is an unexplainable feeling. No doubt it is love. This emotion starts the minute you hold them in your arms. This feeling also happens with children. This tiny baby is put in your arms and without a single word spoken, there is immense love. As they grow up, the heart string that connects to theirs, follows you. The first time they drive off in a car alone, there is a real tug on the heart…”What if something happens?” Although many words have been spoken, the connection, the invisible string that joins hearts, is more powerful than words. Have you ever been in a cafe, and look up to see someone looking at you? Your eyes meet, the connection happens. No words. It is the gaze in another person’s eyes that speaks to our heart. Often it is love at first sight. If the eyes meet and the souls never connect, the string is broken. The gaze can linger with us, the powerful connection of strangers. When we lose someone we love, the string never breaks. It seems the pull on the heart is stronger, leaving an empty feeling in our chest. We can no longer speak, but the love remains. Often we feel an invisible presences that assures us that our hearts are still connected. We are so busy in life that we ignore how powerful the human connection is. Most days we do not think if it will be our last or if someone is eyeing us from across the room. We are too busy sometimes to feel the tug on our heart. When we don’t take time to feel the tugs, we eventually have regrets. In the world today we are making bad decisions because we are ignoring the tugs on the heart. We walk past homeless people as if they are not there, we ignore a disabled person at the store, we destroy beautiful natural areas for a parking lot, or fail to follow our heart in our life’s journey. We get to end of life and our heart feels empty. When we are aware of those moments, those tugs, those gazes, those moments when our soul connects, our life comes feel circle. We become more vulnerable, and yet more complete. Sometimes we must live our life in slow motion.When we do, we see things we did not see before and we feel the strings of our heart being tugged. We realize how truly amazing those feelings are. We become aware that we are not an accident. There truly is a reason for our existence. The reason has a lot to do with the invisible strings, the moment eyes meet, and the communication between souls without having a single word spoken. It is magic. Let yourself feel the moments that remind you how truly wonderful it is to be alive. 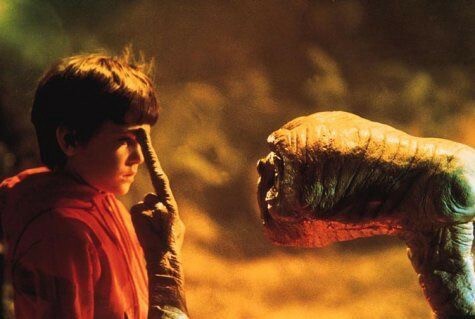 This movie clip from E.T. is all about that feeling, that pull of the heart strings, the mysterious connection we call love.